Find your place at the Nelson-Atkins. 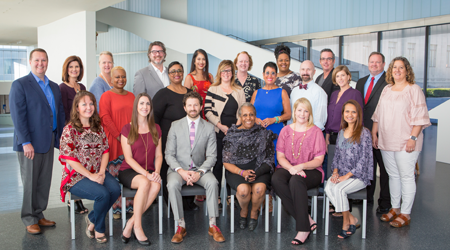 Membership support ensures the museum remains an important community resource for all of Kansas City to experience. Become a member today and be a part of what makes Kansas City so great. 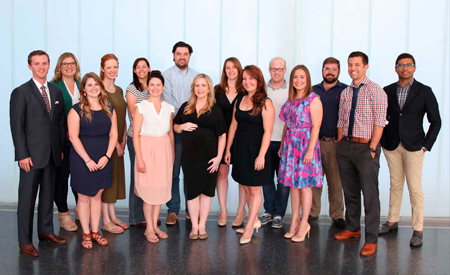 Art Leaders was founded in 2014 and provides the opportunity for professional development, networking and mentorship while allowing access to an in-depth look at The Nelson-Atkins Museum of Art. 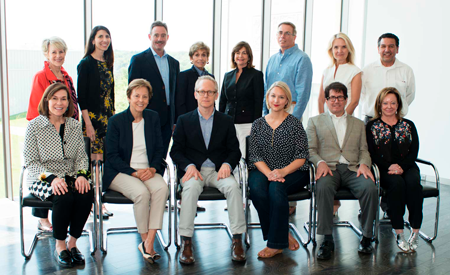 Contact Erica Terry at eterry@nelson-atkins.org for more information about Art Leaders. Teen events at the Nelson-Atkins are adult supervised but designed for autonomous exploration of art and ideas by teens aged 13-19. Younger, middle-school-aged youth are welcome to participate as long as they are comfortable away from parental supervision and around the social dynamics of older teens. A night of open mic performances from local teens. Light snacks and drinks provided. Come to perform or just watch the show! Instruments and bands or groups are welcome. An after school open studio space where teens can create and discuss art with their peers. Use our supplies or bring your own! Buy a drink from Quay Coffee and enjoy an open conversation with a featured Kansas City artist and other teens. Donuts are on us! Watch an art focused film and take part in a round-table discussion with museum staff and other teens. The Teen Council is composed of a diverse group of students representing different schools in Kansas City. Their mission is to increase and diversify teen involvement at the Nelson-Atkins by planning and marketing events and programs for teens. The Teen Guide program is a paid summer job experience for local teens. Teen Guides provided interactive tours of the Donald J. Hall Sculpture Park and the Anita B. Gorman Conservation Discovery Center. Applications for this position will open on March 4, 2019. The Photography Scholars Program provides high school students with a unique opportunity to engage in the study of photography through an intensive 8-week workshop. The Nelson-Atkins Museum of Art is lucky to have dedicated volunteers who ensure the vitality of this incredible community resource. Membership has a rich history of volunteer engagement, with three separate leadership groups that provide support in growing the membership base and stewarding existing members. Our volunteers serve in a wide variety of roles throughout the museum. They provide essential support to the museum’s mission through hands-on service and leadership roles. The list below includes most of our major volunteer roles. Please note that not all are open at all times. To learn what positions are currently available, please contact us at volunteer@nelson-atkins.org.